MiloAnything that decreases blood flow to the kidney can cause kidney failure. There are two types of kidney failure: acute and chronic. Chronic kidney failure, often found in senior dogs, is a more gradual loss of kidney function where at least 60 percent of the function has failed. Acute kidney failure occurs quickly, some causes are from something toxic a dog has ingested or otherwise been exposed to in his environment and urinary blockage. When reviewing the list of signs and symptoms, it is important to remember your dog may only display a few. Early stages of kidney failure can be easy to miss. Therefore, correct blood chemistry tests must be done to have a valid diagnosis of kidney disease/failure; the tests are complete Metabolic Panel and CBC with Deferential. Blood urea nitrogen (BUN) and Creatinine (within Metabolic Panel) are used to measure the body’s waste products in a dog's blood stream and are the most sensitive indicators of kidney function. High BUN and creatinine values can indicate high levels of waste products which indicate kidney disease and elevated BUN is an indicator of deficient kidney function. 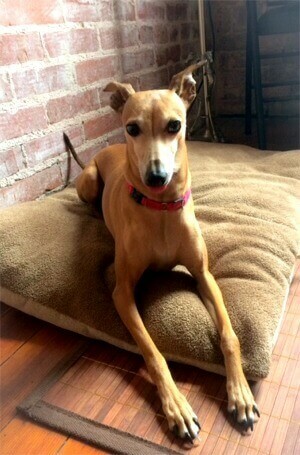 Dr. Thomas will indicate when follow up blood chemistry is necessary; frequent updates on your dog are very important. The goal of conventional treatment is to lower the level of protein in the blood by feeding a prescription diet low in protein. This altered diet keeps the BUN and creatinine from increasing because they are the byproducts of protein metabolism but will not treat the underlying cause of kidney failure, that is the function of Kidney Disease/Failure. Ingredients: rou gui, yi mu cao within a proprietary blend. 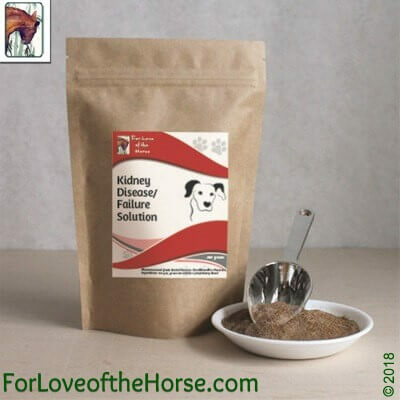 Kidney Disease/Failure Solution for Dogs 290g Discounts Apply !